Brenda Blogs About . . .: First Steps! Major announcement in our household: Guinevere took her first unassisted steps! (Well, really, I should say, “step” as she only took 1 step and then fell over, but that’s ok.) We’ve been thinking she would probably do it sooner rather than later. She’s been able to stand completely on her own for a couple seconds at a time for a couple weeks now. Then on Friday night, Aaron and I both got home from work at the same time (a miracle in and of itself). Aaron’s friend, Dave (best man at our wedding), was over visiting. G was suddenly standing really well on her own. We had a feeling she might take her first step that night. So Aaron pulled out his phone to take some video. Of course, his phone was completely full (seriously, we have to empty our phones so often now bc they fill up with so many baby pics & videos – anyone else have that problem?). So Aaron was frantically trying to empty his phone while I tried to encourage G to take a step. She took her first step! And we caught it on camera! How often do you get an actual first milestone like this on camera? (Obviously, not counting planned milestones like first time riding a bike, etc.) As you can see, we were very excited! She didn’t take any other unassisted steps on Friday night and has only taken a couple more since then. But she now stands on her own for several minutes. And walks amazingly well while holding onto something. It’s only a matter of time before she’s running through the house like a hooligan! 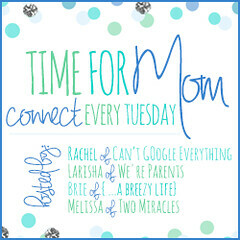 Linking to Rachel and Mommy Mondays. I completely understand about the phone!! How lucky that you were able to get it on video- I should probably go clean off my phone in preparation for Clay's first steps! Yeah, it's amazing how quickly the phone fills up! I ended up deleting all my music and any unused apps so that I have room for pics/videos. That is impressive! Nice clearing work...just in time. Thanks for linking up! Thanks for linking up to Mommy Mondays! <3 I wasn't able to get my little one's first steps on camera (they happened recently too!)... they move so fast! Brenda Blogs About . . .